I personally love the idea of having a vintage wedding theme. I find it different and unique- and very inspiring to photograph, as a wedding photographer. Vintage dresses are usually made from exquisite fabrics and beautifully crafted. They allow brides to wear something that is totally unique and which can be worn from the day of purchase. Of course, a vintage wedding dress that is in good condition and which fits properly is not always easy to come by. 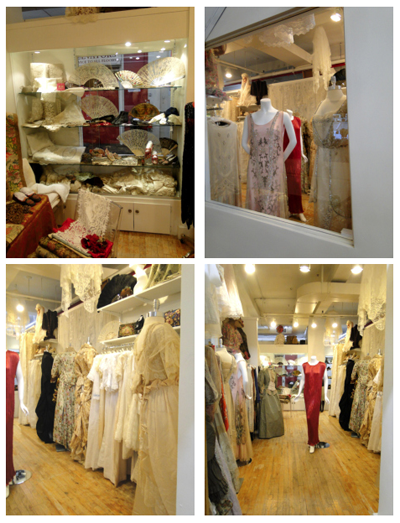 Maria Niforos has been selling fine antique lace, linens, textiles and fans in London and NYC since 1977. Packham’s regular design presence on the red carpets of Los Angeles infuses the Hollywood crowd with the glamour they adore. 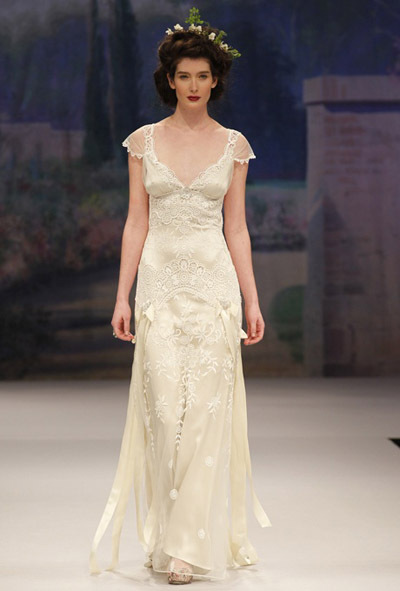 Jenny Packham bridal gowns are at the cutting edge of fashion, and are often described as art deco with a real 1920′s & 1930′s feel. Dresses: Samuelle Couture and Jenny Packham via Chic Parisian Coral Gables // Hair: The Vintage Bride / Make Up: Jennifer Ireland //More from this shoot can also be seen on Style Me Pretty. Gwendolynne Burkin is a rising star of Australian fashion. She launched her own signature label Gwendolynne in 1997 and has established a reputation for beautifully executed clothing with a strong European flavour. Gwendolynne’s designs: have won Fashions on the Field at the Dubai World Cup; were exhibited at the Powerhouse Museum Sydney; appeared in Mercedes advertising campaigns; featured in international Nokia and Sony advertising campaigns; have been commissioned for the Australian Ballet; are showcased at The Salvador Dali ongoing collection in Milan and have been seen on countless celebrities at red carpet events. Gwendolynne Burkin Website – Facebook – Twitter. Alice Temperley’s timeless, feminine designs combine meticulous detail and embellishments with an English eccentricity and personality drawing on everything British. 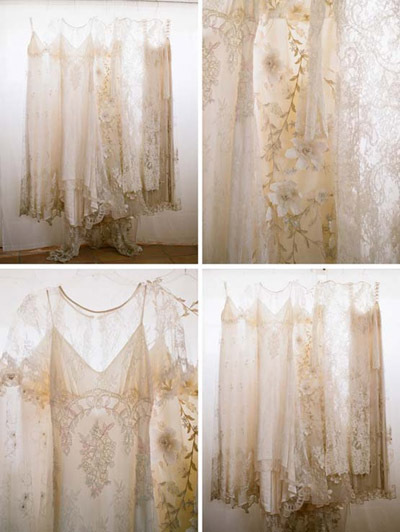 Emannuelle Junqueira is a Brazilian designer who makes elegant, open-backed lace wedding dresses. Emmy is a collection of well designed, beautifully feminine and delicate wedding shoes that reflect up-to-date trends in both weddings and fashion. The collection offers a variety of shape, heel height, material and detail to allow the bride to create a unique, personalised product, with every pair being individually custom made. Michal Negrin has been creating a unique lifestyle for over two decades with vintage-inspired designs that include jewelry, fashion, home décor, and accessories. One of a kind vintage headbands, tiaras and wedding hair accessories inspired and lovingly created from antique and vintage jewelry. With the release of The Great Gatsby, I had to post about it on my blog. I went to see the movie and I found the setting amazing, and I loved the intricately gorgeous costumes used through out this movie. From the beaded flapper dresses to the crystal head pieces, I can’t help but think that this will definitely be the most glamorous and elegant renditions of all. With designers including Miuccia Prada and Oscar-winner Catherine Martin responsible for dressing the stars, we are set to see outfits inspired by the archives of Prada, Miu Miu, Tiffany & Co and Brooks Brothers. International retailer Brooks Brothers has released a limited-edition menswear collection inspired by the costumes in Baz Luhrmann’s adaptation of The Great Gatsby. The line, produced in collaboration with the film’s costume designer Catherine Martin, is comprised of Art Deco-inspired formalwear and daywear, including tuxedos, tailored suits, suiting separates, shirts, ties, shoes and accessories. Most pieces are inspired directly by looks worn by Jay Gatsby (Leonardo DiCaprio) and Nick Carraway (Tobey Maguire). The characters’ costumes have been “modified for the collection so they are at once clearly inspired by the era but entirely wearable today,” the company said. A few significant pieces include a pinstriped pink suit made from 100 percent linen-the same fabric used for the film-and a bowtie worn by Gatsby during the film. If you really liked the vintage style, I recommend you have a look at these blogs. They are fantastic resources for brides looking for vintage wedding inspiration, and ideas for weddings with a vintage feel. © 2019 NYC Wedding Photography Blog|ProPhoto Website by NetRivet, Inc.